One of the most important things for parents to realize is that a meltdown is a trait of High-Functioning Autism (HFA) and Asperger's. Because meltdowns can often look like tantrums, it's sometimes difficult to know what course of action to take. To make matters worse, a particular behavior may be meltdown-related on one occasion, but a simple tantrum on another occasion (e.g., the child may have a tantrum over a certain food item because it tastes "yucky," yet he or she acts-out in the same way over another food item due to a gustatory (i.e., taste) sensitivity. 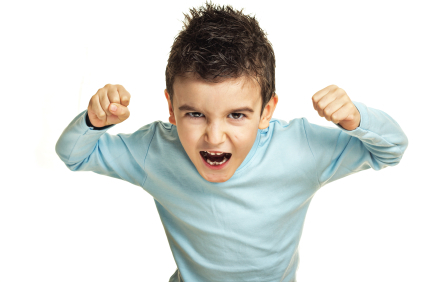 Children on the autism spectrum can avoid tantrums - but not meltdowns. The best parents can do is try to reduce the damage. Punishing a child for a meltdown is like punishing someone for swearing when they hit their thumb with a hammer. It won't do any good whatsoever and can only serve to increase the distance between you and your child. In addition, meltdowns aren't wholly caused by the current scenario, but are usually the result of an overwhelming number of other issues. The one that "causes" the meltdown is the straw that breaks the camel’s back. Unless you're a mind reader, you won't necessarily know what the other factors are, and your child may not be able to fully communicate the problem. A meltdown is a condition where the HFA or Asperger's child temporarily loses control due to emotional responses to environmental factors (e.g., sensory sensitivities, anxiety, social frustration, etc.). It generally appears that the child has lost control over a single and specific issue; however, this is very rarely the case. Usually, the problem is an accumulation of a number of irritations which could span a fairly long period of time, particularly given the strong long-term memory that kids on the autism spectrum are known to have. Kids on the autism spectrum don't tend to give a lot of clues that they are irritated. 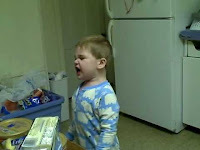 Often times, the child's grievances are aired as part of his or her normal conversation and may be interpreted by parents as part of his or her standard whining. 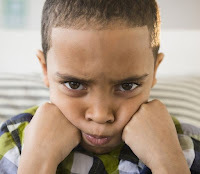 Some things that annoy HFA and Asperger's kids would not be considered annoying to other kids, which makes parents less likely to pick up on a potential problem. Their facial expressions very often will not convey frustration. Their vocal tones will often remain flat - even when they are highly agitated. Some children on the spectrum describe the meltdown as a red or grey band across the eyes. There is a loss of control and a feeling of being a powerless observer outside the body. This can be dangerous as the child may strike out, particularly if the instigator is nearby or if the HFA child is taunted during a meltdown. Sometimes, depression is the only outward visible sign of a meltdown. At other times, depression results when the child leaves his or her meltdown-state and confronts the results of the meltdown. 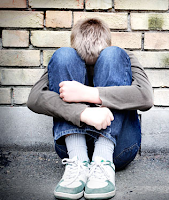 The depression is a result of guilt over abusive or violent behavior, which may result in a shutdown (e.g., the child curls up into a fetal position and hides from the world). Sometimes, the best thing that parents can do is to train themselves to recognize the triggers to a meltdown before the meltdown happens - and take steps to avoid it. Once the child reaches an age where he or she can understand "meltdown triggers," parents can work on explaining the situation. One way to do this is to discreetly videotape a meltdown and allow the child to watch it after he or she has calmed down (kids on the spectrum are very visual and learn best from images and videos). You could then discuss the incident, explain why it isn't socially acceptable, and give the child some alternatives. 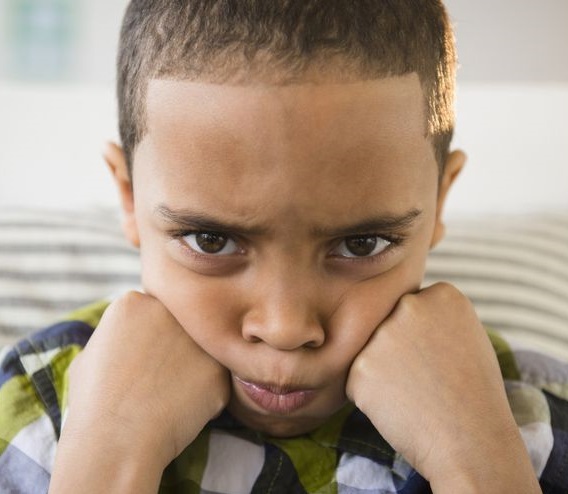 For children with High-Functioning Autism (HFA) and Asperger's, tantrums and meltdowns look similar in the behavioral sense, but have different causes (click here for more information on tantrums versus meltdowns). In any event, it's much easier to prevent both of these than it is to manage them once they have erupted. • Create a safe environment that kids can explore without getting into trouble. Childproof your home or classroom so kids can explore safely. • Establish routines and traditions that add structure. For teachers, start class with a sharing time and opportunity for interaction. • Increase your tolerance level. Are you available to meet the youngster’s reasonable needs? Evaluate how many times you say, “No.” Avoid fighting over minor things. • Keep a sense of humor to divert the youngster’s attention and surprise the youngster out of the meltdown. • Keep off-limit objects out of sight and therefore out of mind. In an art activity keep the scissors out of reach if kids are not ready to use them safely. • Provide pre-academic, behavioral, and social challenges that are at the youngster’s developmental level so that the youngster does not become frustrated. • Hold the youngster who is out of control and is going to hurt himself or herself or someone else. Let the youngster know that you will let him or her go as soon as he or she calms down. Reassure the youngster that everything will be all right, and help the youngster calm down. Moms and dads may need to hug their youngster who is crying, and say they will always love him or her no matter what, but that the behavior has to change. This reassurance can be comforting for a youngster who may be afraid because he or she lost control. • If the youngster has escalated the meltdown to the point where you are not able to intervene in the ways described above, then you may need to direct the youngster to time-out. If you are in a public place, carry your youngster outside or to the car. Tell the youngster that you will go home unless he or she calms down. In school, warn the youngster up to three times that it is necessary to calm down and give a reminder of the rule. If the youngster refuses to comply, then place him or her in time-out for no more than 1 minute for each year of age. • Remain calm and do not argue with the youngster. Before you manage the youngster, you must manage your own behavior. Spanking or yelling at the youngster will make the meltdown worse. • Talk with the youngster after the youngster has calmed down. When the youngster stops crying, talk about the frustration the youngster has experienced. Try to help solve the problem if possible. For the future, teach the youngster new skills to help avoid meltdowns such as how to ask appropriately for help and how to signal a parent or teacher that the he or she knows they need to go to “time away” to “stop, think, and make a plan.” Teach the youngster how to try a more successful way of interacting with a peer or sibling, how to express his or her feelings with words and recognize the feelings of others without hitting and screaming. • You can ignore the meltdown if it is being thrown to get your attention. Once the youngster calms down, give the attention that is desired. • Do not reward the youngster after a meltdown for calming down. Some kids will learn that a meltdown is a good way to get a treat later. • Explain to the youngster that there are better ways to get what he or she wants. • Never let the meltdown interfere with your otherwise positive relationship with the youngster. • Never, under any circumstances, give in to a meltdown. That response will only increase the number and frequency of the meltdowns. • Teach the youngster that anger is a feeling that we all have and then teach her ways to express anger constructively. • Anonymous said… Bossy can be a trait of aspie, I had to take control back of my son instead of him controlling me with his less than manageable behaviour. As our special educator said, bossy boys become bossy men. So it's very important things are done on your terms not his. Lastly, is he sleeping? If not, look into it. My boy was so overtired nothing was ever going to settle until that was sorted. Diagnosis is overwhelming too. Be gentle and kind to yourself. • Anonymous said… Heavy work activities work well too. Have him help you carry or go up and down the stairs for stuff. • Anonymous said… I found that my Aspie daughter (when she was young) would act out when she was emotionally overwhelmed. Happy or sad it was too much sensory input for her. I would get her to let me hold her and put my hands over her ears. Don't know why but the closeness and lack of hearing was calming for her emotions. She is 18 now and when she is very upset, she still wants me to hold her ears. Can't hurt to try it? • Anonymous said… I would look for another diagnosis. My son didn't have anger issues or jealousy issues. We did not coddle him nor did we excuse his behavior. He received the same discipline as his sister. He is 32 now and has two college degrees. I suggest you nip this behavior in the bud. Oh and Aspies do not respond to punitive punishment. You have to use logic. Reasoning and bargaining does not word either. • Anonymous said… ive looked into essential oils to help my daughter, she is 6 years old, we have been using Doterra 100% pure CPTG oils. Balance, serenity (diffuse in the house and apply to her feet) and ive just bought Intune (rollerball) on really bad days i put a few drops in her bath. we have found they really helped with her sleep and calming her. • Anonymous said… My little one is having a lot of success with primitive reflex integration therapy. I don't know if this is helpful for all Aspie's, but it is definitely worth looking into. I agree that the 1, 2, 3 Magic was very helpful. I also agree that amount of sleep makes a huge impact. I know my Aspie needs more sleep than her age peers, and it can be challenging to figure out what the best sleep schedule is for any child. • Anonymous said… OT for sensory issues will help a ton! He needs lots of physical activity! 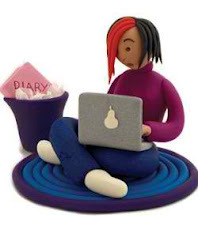 • Anonymous said… Setting very clear boundaries, and exiting the situation (grocery store, birthday party, park day) and going home let her know that I was serious. • Anonymous said… Talk to your pediatrician about autism support. Your state probably has some things in place. Also ask for information about parent support groups and play groups. Find a friend or neighbor who would be willing to take him for an hour or two when you are at your wit's end. High-Functioning Autism is a developmental disorder that results in several ongoing challenges: (a) two-way social interaction, (b) verbal and nonverbal communication, (c) a reluctance to accept change, (d) inflexibility of thought, and (e) an all-absorbing narrow area of interest. Also, there is a range of severity of symptoms within the disorder (e.g., the very mildly affected youngster often goes undiagnosed and may just appear odd or eccentric). In general, kids with High-Functioning Autism (HFA) and Asperger’s are happiest with routines and a structured environment. They love praise, winning and being first, but find losing, imperfection and criticism very difficult to take. Problem behavior often stems from an inability to communicate their frustrations and anxieties. If we, as parents, can help break through to the HFA child’s “own little world,” we can help him or her to cope a little better in day-to-day activities. There are many things we can do to help our “special needs” children better understand the world, and in doing so, help them to feel less overwhelmed in certain situations. 1. Use turn-taking activities as much as possible, not only in games, but in other areas at home too. 2. Try to get confirmation that they understand what you are talking about (or asking). Don't rely on a stock ‘yes’ or ‘no’ that they like to answer with. 3. HFA kids have a need to finish tasks they have started. Strategies can be developed to reduce the stress they experience at such times. Warnings that an activity is to finish in x minutes can help. With younger kids, attempts to “save” the task can help (e.g., videoing a program, mark in a book, etc.). 4. Model an “always looking for the positive” mindset. If you look for the positive in situations, so will your youngster. Kids learn behaviors from watching their parents. So, when you think about your youngster's psychological well-being, think about your own as well. 5. Promises and threats you make will have to be kept. So, try not to make them too lightly. 6. Pre-warn them of any changes, and give warning prompts if you want them to finish a task (e.g., “when you have colored that in, we are going shopping”). 7. Limit any choices to two or three items. 8. Let them know that you love them - warts and all - and that you are proud of them. It can be very easy with a youngster who acts-out behaviorally not to tell him or her all the things you feel inside. 9. Keep all your speech simple to a level they understand. 10. Model “self-care strategies.” If you take care of yourself and schedule time for your own needs, your youngster will learn that self-care is an important part of life. 11. In some kids who appear not to listen, the act of singing your words can have a beneficial effect. 12. Limit their “special interest” time to set amounts of time each day. 13. Try to build in some flexibility in their routine. If they learn early that things do change - and often without warning - it can help. 14. Don't always expect them to “act their age.” They are usually immature as compared to their same-age peer group, and you should make some allowances for this. 15. Try to identify stress-triggers and avoid them if possible. Be ready to distract with some alternative (e.g., “come and see this”). 16. Begin early to teach the difference between private and public places and actions, so that they can develop ways of coping with more complex social rules later in life. 17. Keep instructions simple. For complicated jobs, use lists or pictures. 18. Model “approach behavior.” Your HFA youngster will do what you do. So, if you avoid anxiety-provoking situations, so will he or she. If you face your fears, so will your youngster. 19. As kids on the autism spectrum mature, some problems will get easier. But, like all other kids, new problems will emerge. 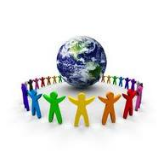 Social skills will have to be taught in an effort for them to find a place in the world. So, take all opportunities to explain situations time and time again. 20. Lastly, remember that kids on the spectrum are kids just like the rest. They have their own personalities, abilities, likes and dislikes. They just need extra support, patience and understanding from everyone around them. This is a very good question, because a lot of parents of kids on the autism spectrum will rush into action before they have collected enough information and analyzed what is going on. If you do not know the reasons behind the behavior, you may very likely do the wrong thing. If you know what is going on, you can help things go better. Realizing that your son will not be a good observer of his behavior is your first step. 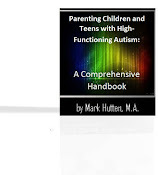 The youngster with High-Functioning Autism (HFA) or Asperger’s (AS) often does not know what to do in a situation. He does not know the appropriate behavior because he doesn't understand how the world works. Or, if he knows a better solution, he cannot use it because he becomes "stuck." Not knowing what to do - or being unable to do what is appropriate - results in anxiety that leads to additional ineffective and inappropriate actions. Autistic-like behavior is usually a result of this anxiety, which leads to difficulty moving on and letting go of an issue and "getting stuck" on something. This is rigidity, and it is the most common reason for behavioral problems. See the sidebar for a list of reasons for rigidity. You must deal with rigidity and replace it with flexibility early on in your plan to help your son. Flexibility is a skill that can be taught, and you will make this a major part of your efforts to help him. 7. The need to avoid or escape from a nonpreferred activity, often something difficult or undesirable. Often, if your son cannot be perfect, she does not want to engage in an activity. Understanding your son involves knowing the characteristics discussed earlier and how they manifest themselves in everyday behaviors. How does he see the world, think about matters, and react to what is going on around him? The following reasons will help you understand "why he acts the way he does." The HFA or AS youngster has a neurocognitive disorder that affects many areas of functioning. This includes a difficulty with the basic understanding of the rules of society, especially if they are not obvious. Life has many of these rules. Some are written, some are spoken, and some are learned through observation and intuition. Your son only knows what has been directly taught to him through books, movies, TV shows, the Internet, and explicit instructions. He is not able to sit in a room, observe what is happening, and understand social cues, implied directions, or how to "read between the lines," and as he is growing up, he does not learn how to do this. Instead, he learns facts. He does not "take in" what is happening around him that involves the rest of the world, only what directly impacts him. Many of the conversations he has had have generally been about knowledge and facts, not about feelings, opinions, and interactions. As a result, he does not really know how the world works and what one is supposed to do in various situations. This can apply to even the smallest situations you might take for granted. Not knowing the unspoken rules of situations causes anxiety and upset. This leads to many of the behavioral issues that appear as the HFA or AS youngster tries to impose his own sense of order on a world he doesn't understand. 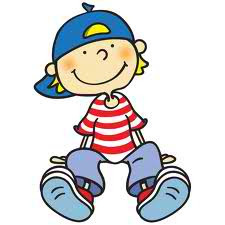 The HFA or AS youngster creates his own set of rules for everyday functioning to keep things from changing and thereby minimize his anxiety. Sometimes, he just makes up the rules when it is convenient. Other times, he attempts to make them up by looking for patterns, rules, or the logic of a situation to make it less chaotic for him and more predictable and understandable. If there are no rules for an event or situation, he will create them from his own experiences based on what he has read, seen, or heard. He will often have a great deal of information to use in reaching his conclusions and forming his opinions and feelings. As a result, some of his conclusions are correct and some are wrong. You must never overestimate the HFA or AS youngster's understanding of a situation because of his high intellectual ability or his other strengths. Your son is a boy who needs to figure out how the world works. He needs a road map and the set of instructions, one example at a time. In trying to understand how the world works, your son tries to make sense of your explanations, but sometimes is not able to do this. As a result, your effort at intervening falls short. This can occur because your explanation has no meaning. Each HFA or AS youngster can only understand things for which they have a frame of reference, meaning they have a picture or idea about this from other sources or from prior discussions. They cannot understand what you will tell them without this frame of reference. For example, when I asked a teenage boy if he missed his parents when he was at overnight camp for a week, he replied that it was not all that long. When I asked him again if he missed them, he said he could e-mail them whenever he wanted. After my third attempt to get an answer he finally said to me, "I can't answer that question. Since I have never missed anyone before, I have nothing against which I can compare my feelings to know what missing feels like." In the next few chapters we will explain how to give your son or adolescent a new frame of reference. For all children on the autism spectrum, life tends to be divided into two categories – preferred and nonpreferred activities. Preferred activities are those things he engages in frequently and with great intensity. He seeks them out without any external motivation. However, not all of his preferred activities are equal. Some are much more highly desired and prized. An activity that is lower on the list can never be used as a motivator for one that is higher. For example, you cannot get him to substitute his video game playing by offering a food reward if the game playing is higher on his list. Any activity that is not preferred can be considered nonpreferred. They are less desirable and many are avoided. The lower they are on the list of desirability, the more he will resist or avoid doing them. Sometimes an activity or task becomes nonpreferred because it is made to compete with one that is much more highly valued. For example, taking a bath could be enjoyable, but if the child is reading, and reading is higher on his list, he will resist or throw a tantrum. Preferred and nonpreferred activities are always problem areas. Your son will always want to engage in preferred activities even when you have something more important for him to do. He does not want to end preferred activities and your attempts to have him end them can produce upset of one kind or another. On the other hand, trying to get him to do nonpreferred activities, such as interacting socially, can also be difficult. If many nonpreferred elements are combined together, the problem can become a nightmare, such as with homework. The HFA or AS youngster rarely has activities he just likes. He tends to either love or hate an activity. The middle ground is usually missing. Teaching a middle ground or shades of gray can be a goal and will be discussed later. Also, as you try to teach him something new, you will encounter resistance because you are asking him to do something that's not a preferred activity. But, as he outgrows younger interests, he will need to learn new ones in order to have some common interests with his peers. He needs to experience new things to see if he likes them, but may not want to do this just because you're asking him to do something new. He already has his list of preferred interests and will rarely see the need for anything new. Quite often, his preferred list will include computer or video games. However, the more he is on the computer or the more he plays video games, the less available he is to be in the real world and learn something new. Most likely, you will have to control his access to preferred activities if new ones are to be introduced. Obsessive-compulsive issues, also referred to as rituals, rigidity, perseverations, rules, or black-and-white thinking, originate in the HFA or AS child's difficulty understanding the world around him or her. This creates anxiety, the underlying cause for his/her obsessive-compulsive behaviors. You will see anxiety in many different ways, depending on how your son manifests it. Some kids will show it in obvious ways, such as crying, hiding under furniture, or clinging to you. Others show it by trying to control the situation and bossing people around. Some may hit or throw a tantrum. Some may act silly. 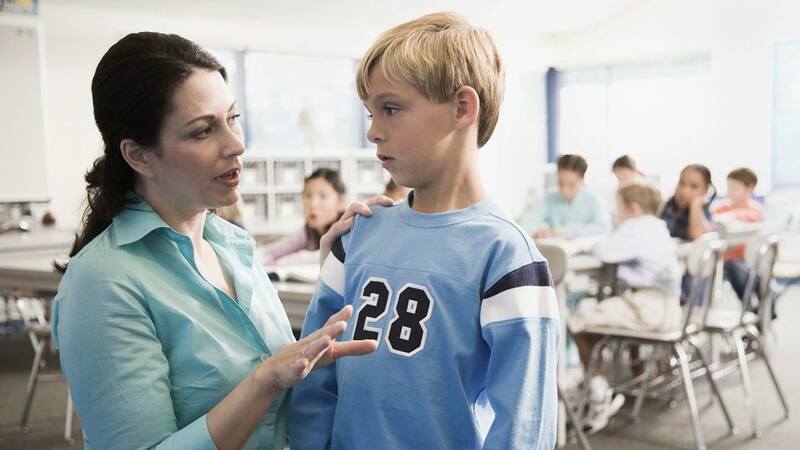 No matter how your son displays his anxiety, you need to recognize that it is there and not assume it is due to some other cause such as attention seeking or just plain misbehavior. Anxiety can occur for the smallest reason. Don't judge anxiety-producing situations by your own reaction to an event. Your son will be much more sensitive to situations than you will be, and often there will be no logical reason for his anxiety. Something that you would be anxious about causes no anxiety in your son, while a small event causes him to be quite anxious. When events change, he never knows what is going to come next and he becomes confused and upset, leading to some form of inappropriate behavior. Your son's first reaction is to try to reduce or eliminate his anxiety. He must do something, and one of the most effective means is to take all changes, uncertainty, and variability out of the equation. This can be accomplished by obsessions. If everything is done a certain way, if there is a definite and unbreakable rule for every event, and if everyone does as he wishes, everything will be fine. Anxiety is then diminished or reduced, and no upset, tantrums, or meltdowns occur. Allen, age seventeen, won't leave the house because he wants to have his nails in a certain condition. This condition requires many hours of grooming that interfere with sleeping, eating, and doing just about anything else. This is obsessive-compulsive behavior. Any attempt to get him to leave the house or stop his nail maintenance causes anxiety and is rarely successful. Anytime Craig, age eleven, hears an answer that he does not like, he becomes upset. If he asks a question or makes a request and the other person's response is not what he expected, he starts to argue with them, often acting out physically. He must have certain answers that are to his liking. This is rigidity in thought and it is also obsessive-compulsive. Becoming easily overwhelmed and having difficulty calming down. Creating their own set of rules for doing something. Demanding unrealistic perfection in their handwriting, or wanting to avoid doing any writing. Demonstrating unusual fears, anxiety, tantrums, and showing resistance to directions from others. Displaying a good deal of silly behaviors because they are anxious or do not know what to do in a situation. Eating a narrow range of foods. Having a narrow range of interests, and becoming fixated on certain topics and/or routines. Having trouble playing and socializing well with peers or avoiding socializing altogether. They prefer to be alone because others do not do things exactly as they do. Insisting on having things and/or events occur in a certain way. Intensely disliking loud noises and crowds. 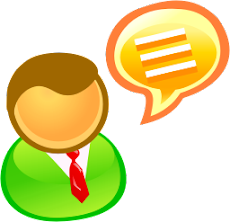 Lecturing others or engaging in a monologue rather than having a reciprocal conversation. Preferring to do the same things over and over. Reacting poorly to new events, transitions, or changes. Remaining in a fantasy world a good deal of the time and appearing unaware of events around them. Tending to conserve energy and put forth the least effort they can, except with highly preferred activities. Wanting things to go their way, when they want them to, no matter what anyone else may want. They may argue, throw a tantrum, ignore you, growl, refuse to yield, etc. 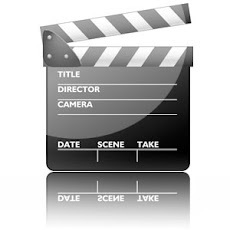 The obsessive-compulsive approach to life results in the narrow range of interests and insistence on set routines typical of an HFA or AS youngster. However, it usually starts as a cognitive (thinking) issue before it becomes a behavioral one. Cognitive issues, such as the inability to take someone else's perspective (mindblindness) and the lack of cognitive flexibility (black-and-white thinking), cause many of the behaviors we see. We know there is a cognitive element by looking at the youngster's behaviors. There is always some distress, anxiety, or obsession manifested in every inappropriate behavior. As mentioned, your son's cognitive difficulties lead to inaccurate interpretations and understanding of the world. How someone interprets a situation determines how he will respond to it. Many times, the interpretation of an event is either not an accurate one or not one that leads to positive or prosocial actions. If the event can be reinterpreted for him, it might lead to a more productive outcome. In doing this, we must first try to understand how the child interprets a situation. All of the child's behaviors are filtered through his perception of the way the world works. Remember, details are extremely important in trying to understand what is happening and what to do about it. Do not try to intervene until you understand, at least to a small degree, what is happening with your son. Changing thinking becomes a paramount issue, but one that is often neglected. However, successful changes in thinking will dramatically increase the success rate of any strategy you use. 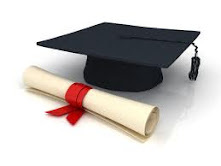 In an ideal world (which none of us will ever experience), your child’s educational experience would include the strategies listed below, all of which will optimize the potential for academic success – intellectually, emotionally and socially. 1. In an ideal world, the HFA or AS youngster’s school has an extensive, in-depth knowledge of autism spectrum disorders (e.g., principal, vice principal, dean, teachers, administration staff, etc.). This guarantees that whoever has contact with your youngster in the course of the school day is aware of his or her needs and understands that the disorder is neurobiological in nature – and not a behavioral issue. So, ask what specific training the staff at your youngster’s school has had, and check that this is updated regularly. This is particularly relevant for your child’s classroom teacher. If no specific training has been undertaken at your youngster’s school, insist that this is rectified promptly. 2. 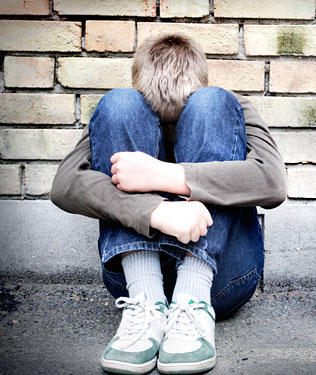 Check the anti-bullying policy of your youngster’s school. This should be a whole-school policy that has a proven and consistent grievance-address policy, with successful follow-up procedures. The policy needs to tackle the needs of victims and actions of perpetrators alike. 3. Hopefully, your youngster’s school recognizes the need for continuous, open communication between home and school. This can be achieved by a daily phone call between special-education staff and parents each day, with relevant information being relayed to your youngster’s teacher. Most parents of kids on the autism spectrum understand that sometimes seemingly harmless incidents in their youngster’s day (e.g., before, during, or after school) can have a huge impact on his or her behavior. Knowing that all behavior is a form of communication, one can’t possibly hope to understand the message the “special needs” youngster is trying to convey unless one has all the facts. Continual communication gives those caring for the HFA or AS youngster at school and home the “big picture." 4. It will be very helpful if your youngster’s classroom is aesthetically autism-friendly (e.g., using visual aids, maintaining a low sensory “volume" in the classroom – such as minimizing noise, light, smell, and extremes in temperature). 5. Kids on the autism spectrum cope best in schools with small class sizes. This option is less a reality these days, when education systems worldwide are struggling to survive with less funding. However, there are many other procedures parents can monitor to make certain their “special needs” youngster is being educated in an optimal setting. 6. Most children with HFA and AS experience periods of excess energy and will benefit from regular energy “burns" throughout the day. This could be in the form of a brisk walk, a short jog, or a set of star jumps or other callisthenic exercise (e.g., skipping, hopping, etc.). The need to burn excess energy usually occurs about halfway through each classroom session (i.e., morning, middle, and afternoon). Your youngster’s successful behavior in the classroom can be greatly enhanced by implementing regular energy “burns" into his or her day. If the teacher or assistant isn’t available to supervise this, an alternative is having the youngster run errands or messages for the teacher. 7. If possible, your youngster’s school has a “safe space" that he or she can go to when stressed, anxious, angry or agitated. This space needs to be sensorily “quiet" with soft furnishings. Accessing this space should never be used as a form of punishment, rather the youngster should be encouraged to remove himself or herself from an escalating situation before overload and meltdown occur – and rewarded for using this strategy. The youngster shouldn’t be “rushed" to return to the classroom, because this will only increase his or her agitation. All kids (including those on the autism spectrum) strive to be the same as their peers, and this “internal driving force" ensures the HFA or AS youngster will rejoin his or her class as soon as he/she is physically and emotionally able to. 8. Ideally, the classroom teacher will be mindful of the fact that all social interaction will have a cumulative effect on your “special needs” youngster, which will affect the successful outcome of group activities, seating arrangements, and ‘buddy’ systems. 9. Wouldn’t it be great if your youngster’s school had a strong Social-Skills program in place that he or she participates in at least once a week for a minimum of 1 ½ hours. This program would incorporate problem-solving and case-specific scenarios, physical activity, group and team work, developing friendship skills, and decoding language and facial expressions. Developing group work skills enables kids on the spectrum to participate more successfully in activities in class and at home. The “mechanics" of group work need to be explained to the HFA or AS child in a step-by-step process for greatest understanding. Discussions about what makes a good friend, what good friends do in various situations, how friends act, what friends say to each other, how they share, how they play together, how they include each other in games, etc., form the basis of teaching friendship skills. Using real-life scenarios of incidents that happen in the playground at school helps kids on the spectrum to transfer their knowledge to their interactions with their peers. Specific skills need to be directly taught about appropriate ways to join a game, co-operating with others, and turn-taking. Self-recognition by the HFA or AS youngster of his or her need for rigidness and rule-following – and highlighting that not all kids think this way – helps to explain the often confusing nature of the school environment to the “special needs” child. Problem-solving specific scenarios that have occurred in the lives of kids on the spectrum helps them to develop a “bank" of appropriate responses and strategies to use in real-life situations. The language component should aim to assist the youngster to recognize and decode literal or conflicting statements in language (e.g., idioms and oxymorons). It also assists the child in identifying the meanings of facial expressions and body language. This will help him or her to develop the use of more appropriate facial expressions and body language in interactions with peers. The physical activity component will assist the youngster’s co-ordination, fine and gross motor skills, spatial awareness, vestibular systems imbalance, and physical fitness levels. Regular access to an all-encompassing Social-Skills program such as this - in a group comprised of both kids on the autism spectrum and their neurotypical peers - provides the HFA or AS youngster with the building blocks of social dexterity for life. It also fosters tolerance and understanding in their neurotypical peers. This list of school strategies is by no means comprehensive, nor is it intended to be. Rather, it’s meant to list the minimum accommodations every school should make for kids with HFA and AS. It’s a foundation to build on in partnering with your youngster’s school to create an IEP for your youngster that allows him or her to achieve his/her fullest potential. As parents of kids with Aspergers (AS) and High-Functioning Autism (HFA), we are all familiar with the enigma of their unequal reaction to pain and injury. A stubbed toe or paper cut may set off a pain response (e.g., crying, screaming, and sobbing) such as is equaled by the loss of a limb, yet a burst ear drum or broken limb may go seemingly unnoticed. Parents of children on the autism spectrum are often bewildered by this unequal response to pain stimuli. Anecdotal evidence from clients worldwide is full of reports on this topic. So, what's the answer to this confusing puzzle? The questions surrounding these kid's unequal response to pain can be explained scientifically. The assumption that, physiologically, humans are equipped to limit the amount of stimuli entering our brains thereby preventing the brain from becoming overloaded, has led to the establishment of a 'normal' range of feeling. However, those with an autistic spectrum disorder are recognized as having a hyper/hypo sensitivity to stimuli (i.e., above average range of feeling or super-sensitivity). Stimulation from the environment enters our brain through our eyes, ears, skin, nose and mouths. Our nervous system passes this information around our brain and body by the use of biochemical neurotransmitters. The amount of stimulation felt is determined by the amount of neurotransmitter processed in each neuron. The enzyme dopamine beta hydroxylase is released from nerve endings during stimulation. Dopamine beta hydroxylase (DBH) is essential for cell communication and regulating neurons in the central and peripheral nervous systems. An increase in stimulation results in an increase in the level of this enzyme. Scientific studies have shown that children on the autism spectrum have much higher levels of dopamine beta hydroxylase in their systems than in ordinary children. The presence of this enzyme is also linked to behaviors such as repetition, agitation and aggression. Repetitious activity, such as rocking, flapping or pacing, results in the release of endorphins through the system. Endorphins reduce the sensation of pain and have the ability to block pain. In other words, when endorphins are present, the amount of sensory reaction is reduced or stopped completely. Kids on the spectrum have the ability to purposely, but unknowingly, overload their sensory system in order to shut it down completely (i.e., by rocking, flapping or pacing etc.). Blocking out all sensation by the production of endorphins might seem like a simple and easy way of coping with sensory over-stimulation; however, in caring for kids on the spectrum, we must realize that reaction to ALL sensation becomes limited. They won't recognize hunger, tiredness, body temperature (risk of overheating), full bladder/bowel or pain. Kids on the spectrum display agitation through use of repetitious behaviors such as rocking, flapping, pacing, head-banging, staring, screaming, spinning, chanting or humming. Our job as parents is to recognize these signals of agitation. These behaviors are used to block out: (a) over-stimulation from their environment, (b) their emotions, and (c) their response to pain. These repetitive behaviors also serve to calm them, if their use is monitored rather than unlimited. For young people with AS and HFA, the build-up or cumulative effect of these endorphins throughout the day also needs to be taken into consideration. This is why those who suffer accidents in the afternoon or evening may not show pain or seem to feel it. All physical exercise causes the release of natural endorphins into the system that can help to protect the youngster without switching off the sensory response. So, exercise such as walking, running, and swimming is extremely beneficial in the youngster's daily routine as a preventative measure. It may be used during periods of agitation to help calm him or her. In this way exercise is used to develop appropriate social responses (e.g., it is more acceptable to jump on a trampoline rather than on the furniture). With this information revealed, it becomes obvious that we must monitor our youngster's production of endorphins, because the presence of excess endorphins causes him or her to lose the ability to respond to any stimulation. This means that kids on the autism spectrum miss much of what they are meant to be learning. Also, we must realize that these stereotyped/repetitive behaviors have social consequences; they are a visual reminder that they are different from their peers. We must take into account the youngster's socializing skills and ability when monitoring and setting limits on the use of repetitive behaviors. (i.e., tell him or her the times and places when flapping, rocking or head-banging are acceptable, for controlled periods of time. We should not attempt to eliminate sensory stimulation in order to protect children on the autism spectrum. Without stimulation, our world becomes meaningless to them. Rather we should attempt to provide them with a safe sensory environment (e.g., dim lights, softer noises/voices, reduced odors, etc. ), giving them the opportunity to learn and respond appropriately. • Anonymous said… As a little guy my son never complained about ear infections, they only bothered him when it got to the point of a ruptured eardrum. Now I know why! • Anonymous said… Had to really push to get X-ray and taken seriously when daughter was 7 as she just 'wasn't crying enough'. Wrist was broken. A&E doctors need to be made aware of this. • Anonymous said… My son also has a very high pain threshold. He has to be really hurt to cry and really sick to tell us. Other things like itches, though, he cannot deal with. • Anonymous said… So true! My daughter went 11 days with an arm broken in two places and we had no idea. I felt like the worst mom ever, but she never complained. • Anonymous said… Story of my life! Glad my son isn't the only one! • Anonymous said… This is one of the hardest parts of all of this for us. Our son has been badly injured twice and both times had no response to the pain at all. This last time (at 17) he was burned at work. He tried to refuse treatment but thankfully, they called me anyway. He had a 2nd degree burn larger than the size of my hand on his back!! Never even asked for a Tylenol. But if he has a headache...LOOK OUT!!! • Anonymous said… Very informative. My son is 10 and just turning the corner on his anger tantrums. It's such a nice feeling to have weathered the "poker face" phase. Anyway, my husband are trying to prep for the teen years. Good to hear your advice. Thanks Mark. • Anonymous said… Yes the tiniest cut on my daughters finger is like it's been cut off! • Anonymous said... It is nice to finally have an explanation for why my son cries over the smallest bump, but wasn't worried when he sliced his hand open and needed stitches. Thank you! • Anonymous said... My oldest daughter fell and broke her front tooth down to the nerve and was acting like nothing happened... but yet she freaks out over shots and stubbing her toes. :/ I always wonder at every injury if she hasn't done more damage than she can express or even knows about. • Anonymous said... My Aspie (7), doesn't usually ever feel the pain unless he can see the injury like blood. Once he sees it, he freaks out, even if it is a simple paper cut. He had a bursted ear drum once and we never knew it because he never complains of pain. • Anonymous said... This is a great article. 20 years ago my son broke his arm at the elbow, he was so calm, didn't cry. The nurses in the emergency room were telling him he should be the one crying like the other kids in the other rooms. He has always taken that kind of pain so well, yet his back pain he is always obsessing about. Of course when he was 4 we didn't know he was an Aspie. This article made it so clear. • Anonymous said... When my son was 6 he almost died. He had a blood infection and internal bleeding. He never said a word.He never notices the pain from Ear infections and strep throat. If I ever even suspect an illness we go straight to the doctor. Nice to know I'm not alone. • Anonymous said... I am an adult aspie and I have been told that when I had my jabs as a baby I was the only one that did not cry lol. Apparently I just glared at the nurse. 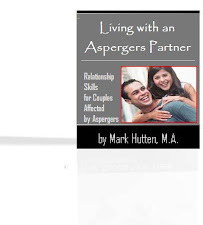 • Anonymous said... Can I please just tell you how much I love and appreciate what you do for us as parents of a newly diagnosed 11-year old with Asperger's? This is something our son exhibits all the time, but we didn't know it was related to the Asperger's. Thank you for helping us be patient and understanding. • Anonymous said... when i took my son to the doc he had a hole in his ear drum the doc. could not believe it kept asking are ya sure that does not hurt?!! but the smallest scratch and its tears and panic..
• Nicole said... My daughter is only 18 months. She has never reacted to pain or fear. This article opened my eyes to why she does alot of what she does. She is almost identical to my nephew who has this type of autism. They both have received 3rd degree burns on their hands and never even flinched. Shes seeing her doctor on Monday.